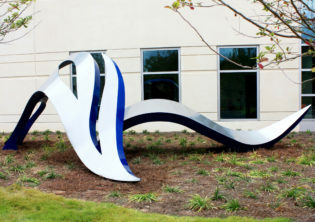 The asymmetrical balance of “Serene” is created using a symphony of natural shapes and curves. 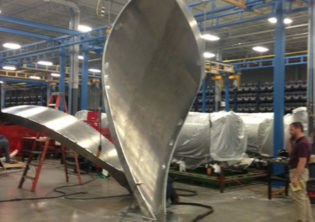 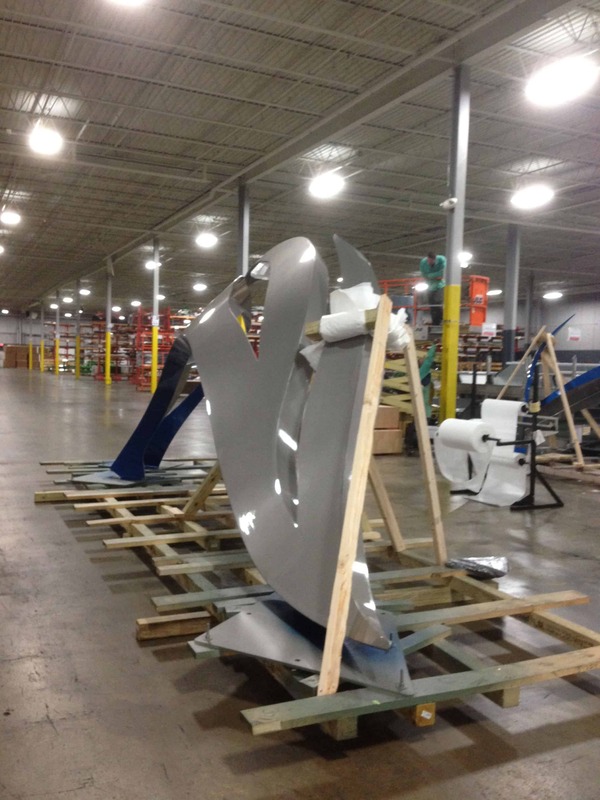 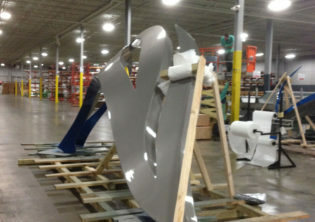 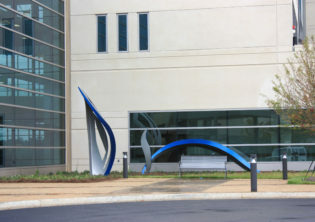 Bold blue accentuates the sweeping arches, drawing your eye across the landscape of large-scale stainless steel forms. 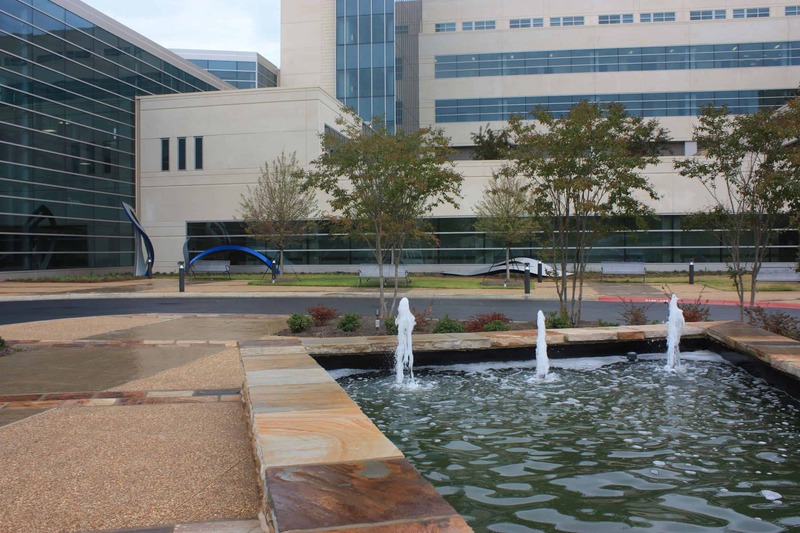 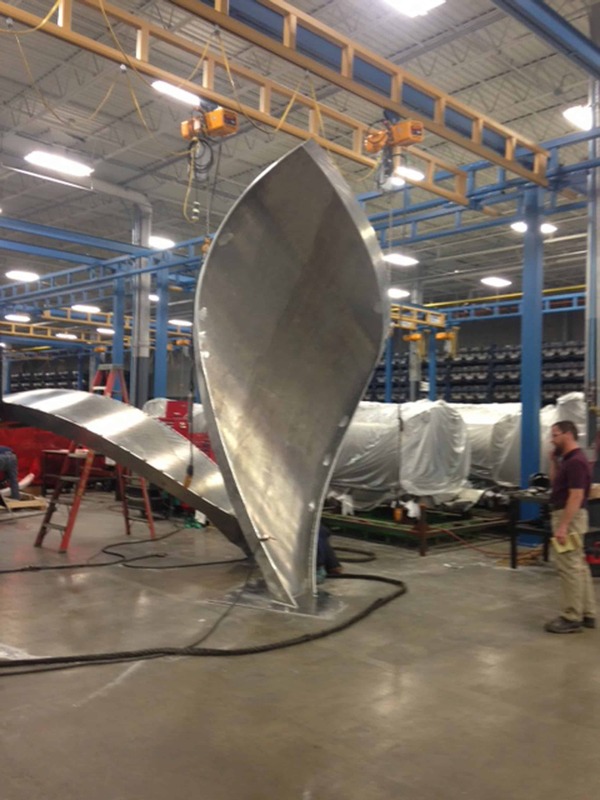 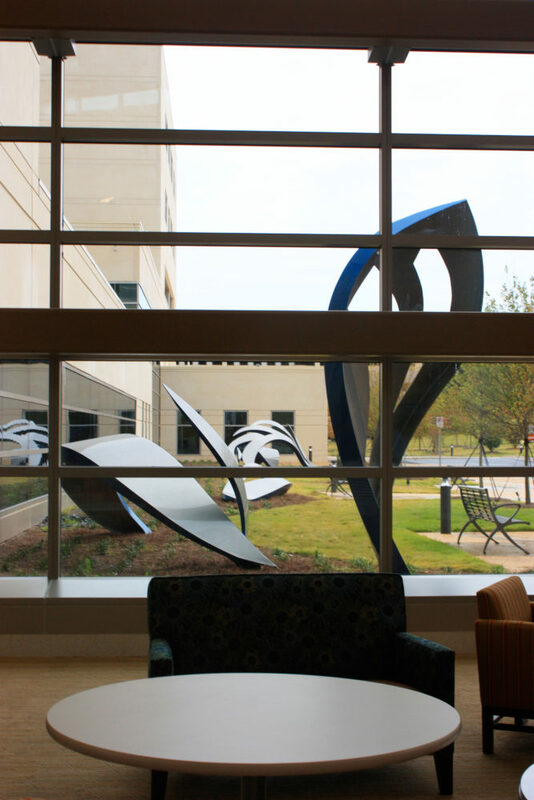 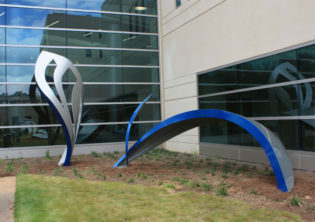 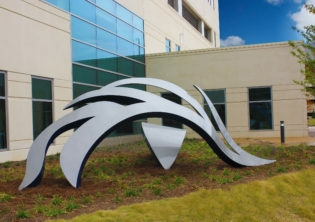 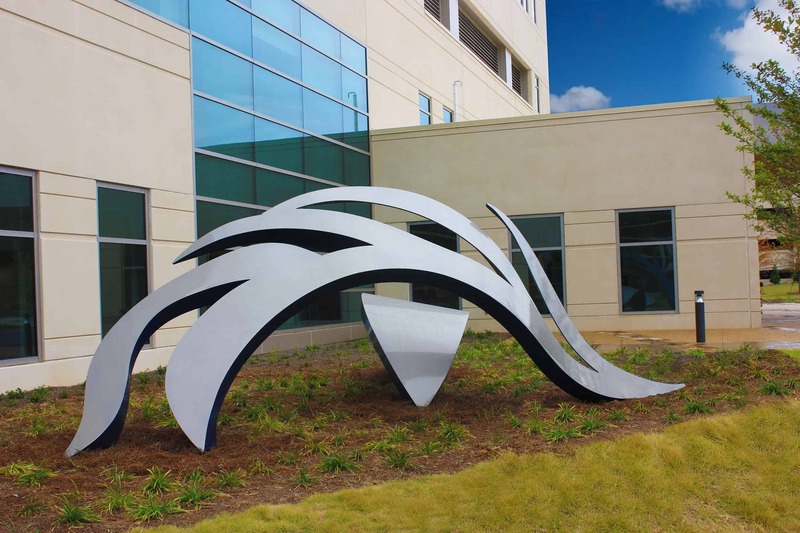 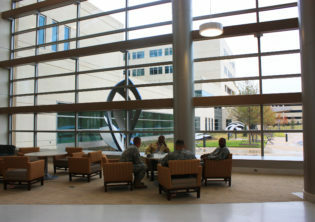 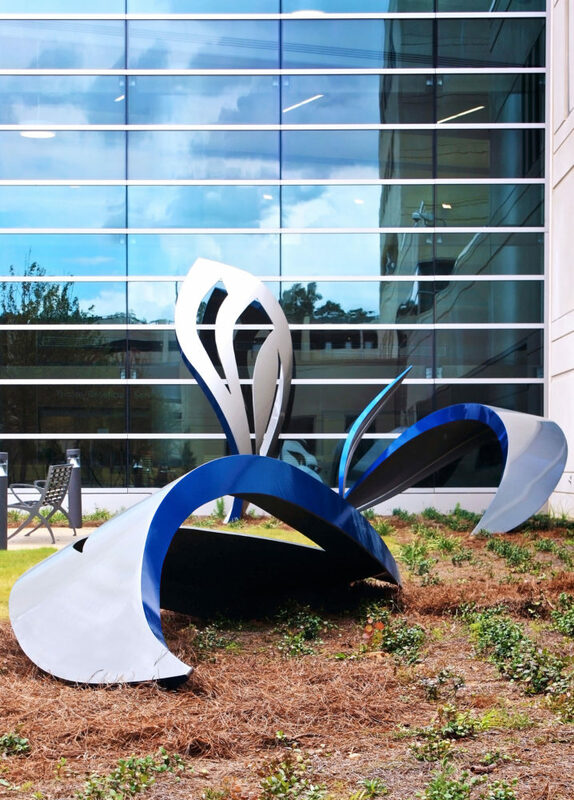 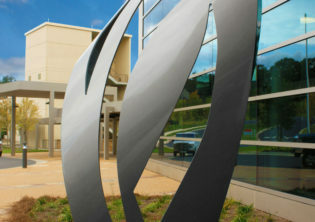 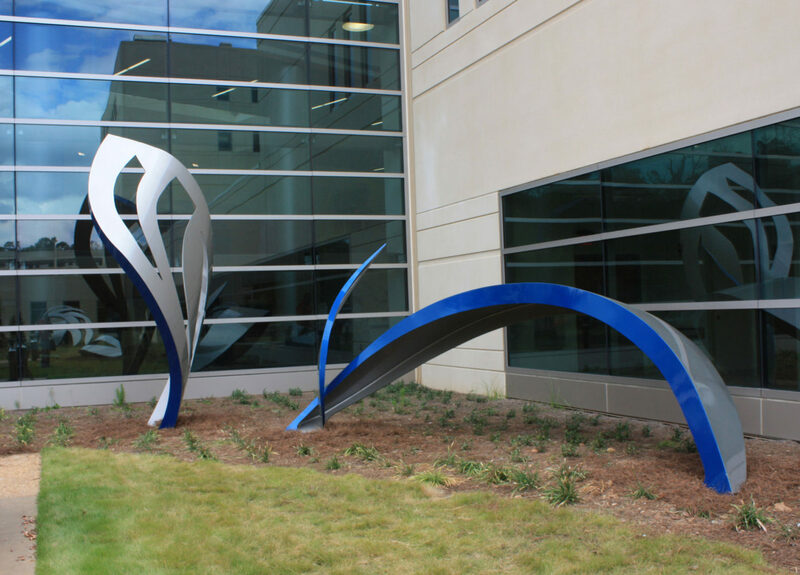 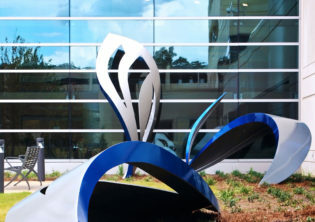 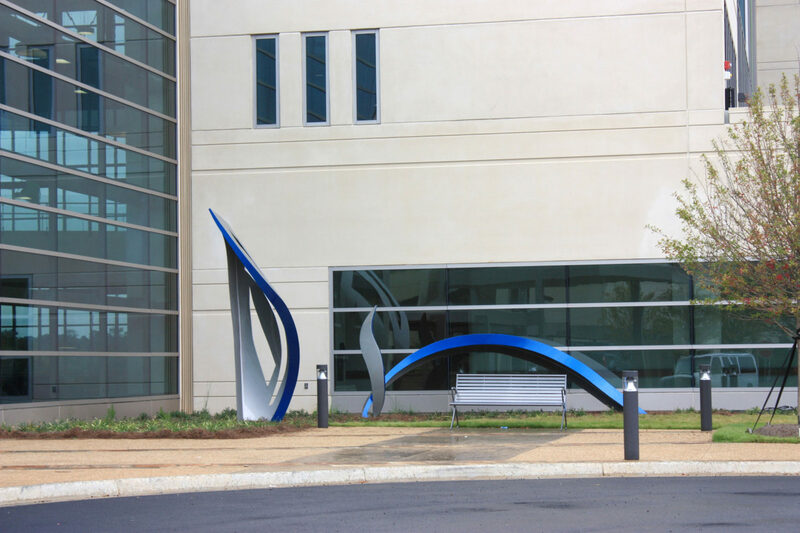 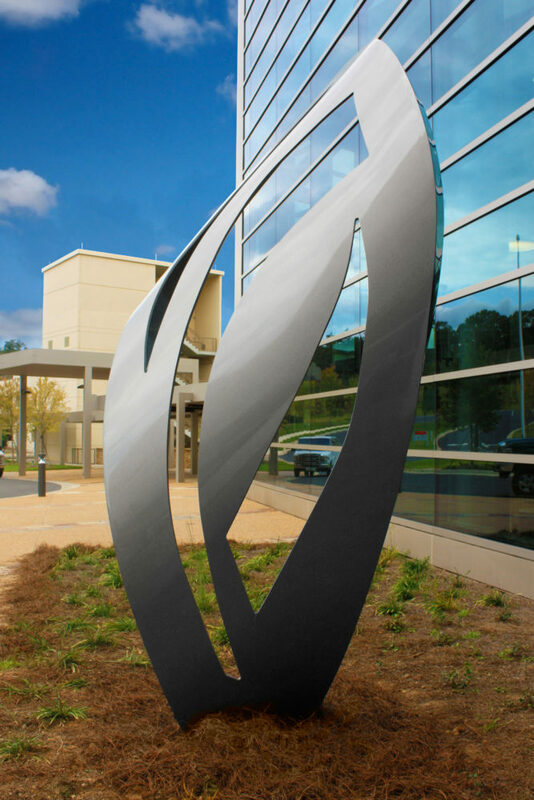 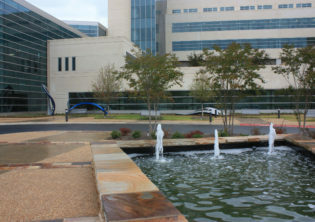 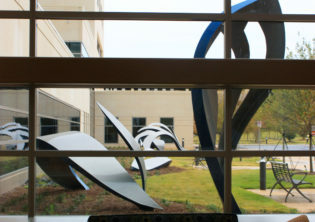 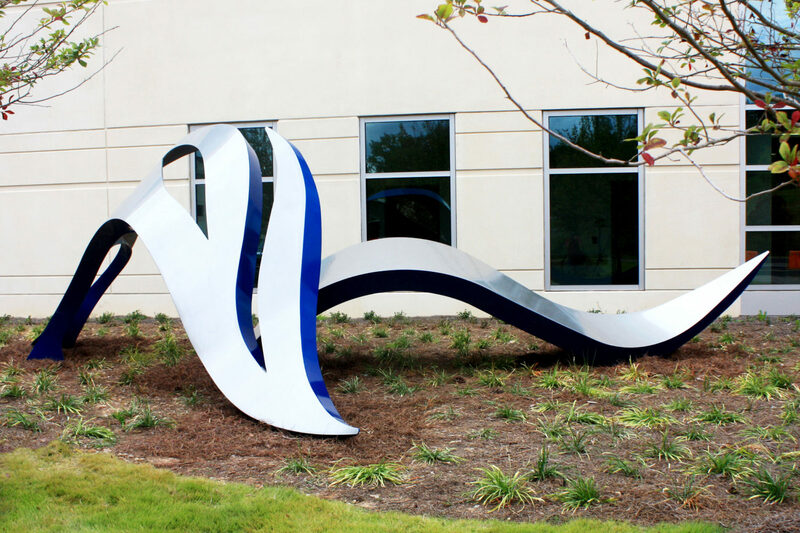 Nestling comfortably within the large outdoor entry space of Martin Army Community Hospital, the shapes of “Serene” arch up to 24 feet in length.